Like many other popular brands, Breitling is known as well for their many ‘Limited Editions’ to attract attention to their watches and brand. However what I will show you here today is of a totally different order. 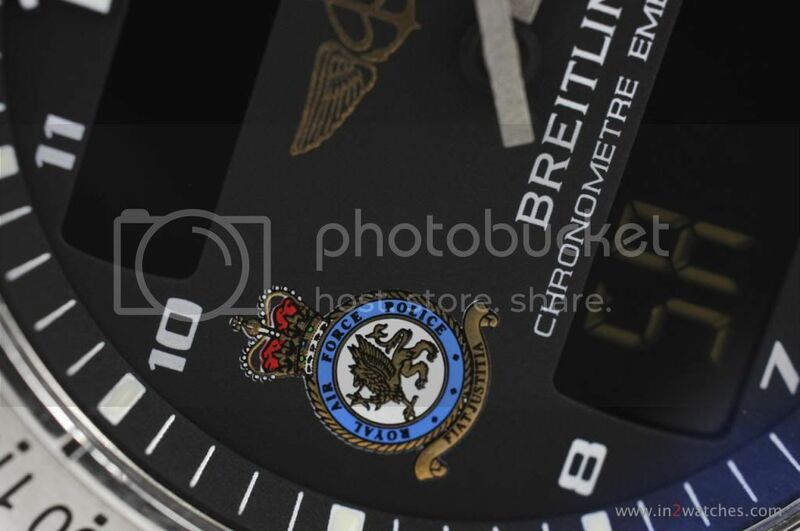 In 2004 Breitling, through their agent in the U.K. 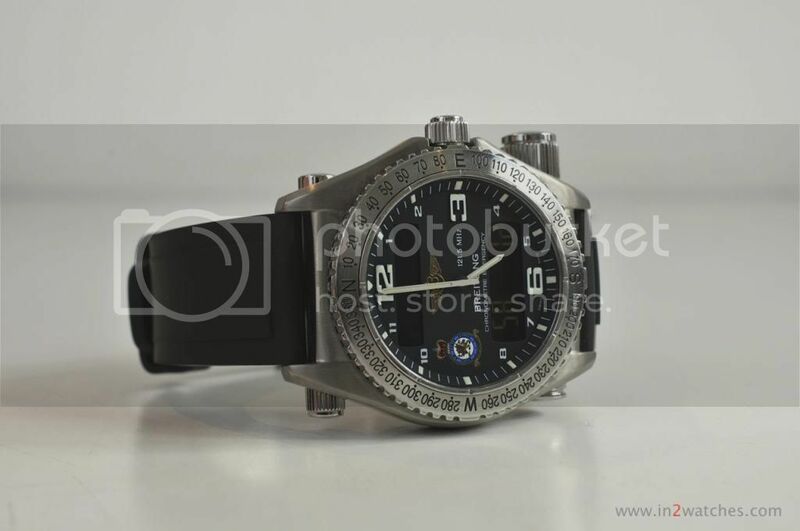 T.W.G., supplied 25 special watches directly to the Royal Air Force Police. These watches were no commercial limited editions available to the public, however, were ordered by and delivered to the Royal Air Force Police and were honored with their crest in the dial. 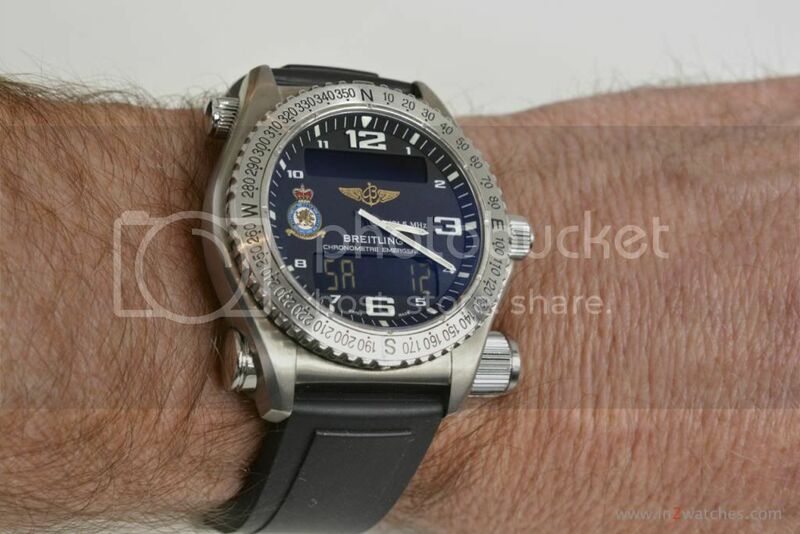 That is to say, 24 of these watches were Breitling Aerospaces… And ONE (1) was supplied as a Breitling Emergency. One! Only one of these Royal Air Force Police watches was a Breitling Emergency and that watch – the only one in the world – I have here with me to share with you. 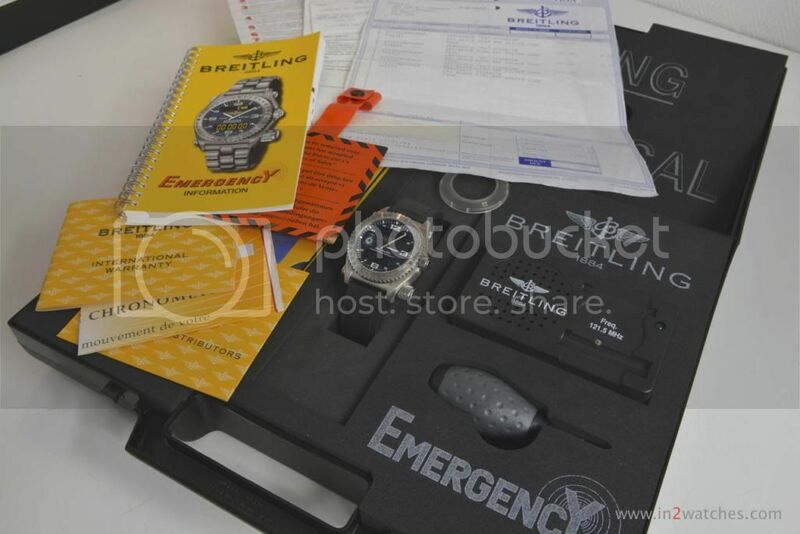 The watch is still complete in the known black Breitling Emergency box, including the tester, red warning hang-tag and with all documentation like delivery notes, service papers, warranty- and chronometer certificates, booklet, even the video which wasn’t ever taken from the protective cellophane. This is a very unique watch and something so rare that I don’t see often coming into my shop as well. Of course, I was very surprised and happy with it, and couldn’t stand sharing it with you. This entry was posted on April 12, 2014 at 17:16 and is filed under all, front page, news, reference. You can follow any responses to this entry through the RSS 2.0 feed. What sort of value would you place on this watch?